This item is refurbished (please refer to the description below for more details). Hard Drive: 250GB HDD (Hard Disk Drive). Form Factor: Desktop. Refurbished computers are fully functional and include a DoD-wiped hard drive. You receive the wrong product. Not Included. 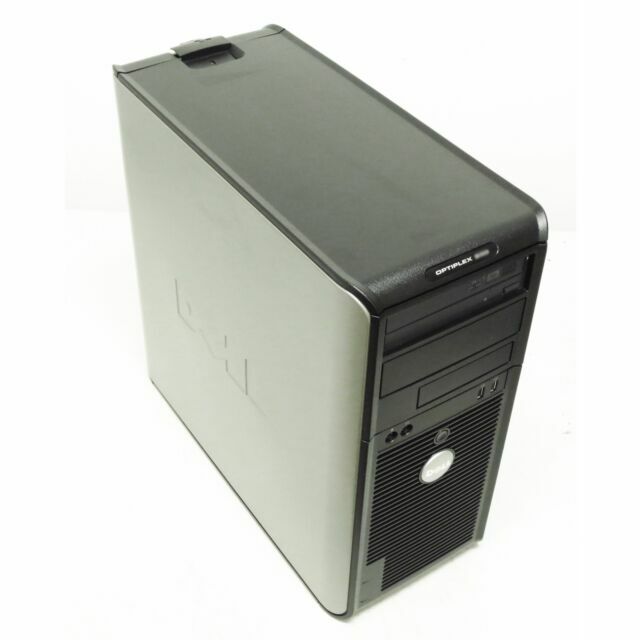 The Dell OptiPlex 330 desktop has been customized by the seller, so read the detailed listing and feel free to reach out to the seller to ask questions about specific adjustments. Without any modifications, this OptiPlex customized desktop is powered by an Intel Pentium Dual Core 1.8 GHz processor that lets you multitask with ease. Moreover, with a 512 MB DDR2 SDRAM, the Dell OptiPlex 330 desktop facilitates an enhanced computing performance and fast rebooting. Boasting an 80 GB HDD, this OptiPlex customized desktop lets you store ample digitized videos, photos and music in high-definition formats. What’s more, enjoy the exceptional experience of playing your favorite high-end games on the Dell OptiPlex 330 desktop as it features an Intel GMA 3100 graphic card. The computer arrived packaged and in excellent condition. I replaced the hard drive with a larger one and immediately upgraded to windows 10. Real sweet!! GREAT computer for the money. I replaced the processor with an intel E6850 (3ghz 4mb cache) and replaced the memory with 4 gb of DDR2 SDRAM 800MHZ. I added a PCIe-x16 Video card with 512 of memory and a 250 gb Western Digital hard drive. I replaced the fan in the power supply and the cpu fan. I currently have Linux Mint 17.2 as the OS, but will be going to Windows 10 Home 64 bit soon. A great price for under 60 bucks! For as old as it is, it sill works like new! It's fine for what I do. Making CD's and DVD's.